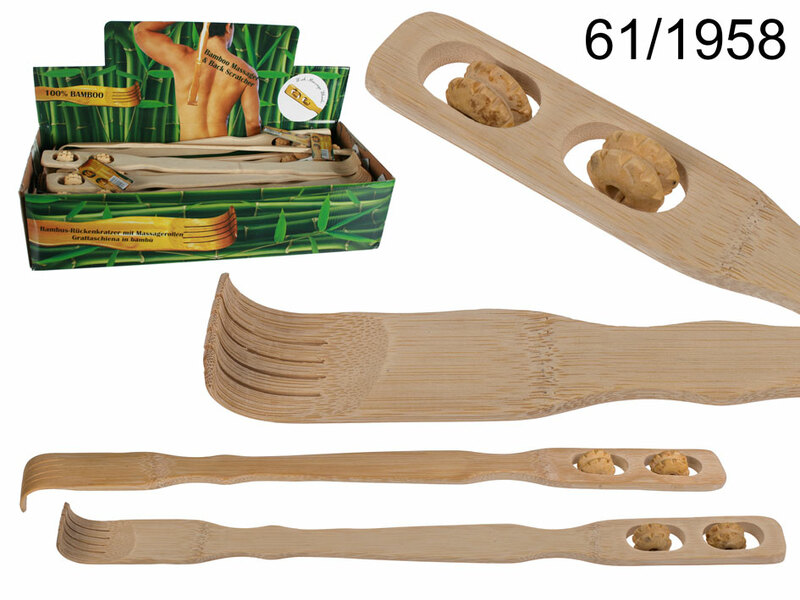 Handy item for everyone - bamboo back scratcher on one end and a massager with two massage rollers. Excellent item for corporate environment, in which work behind the desk can cause some tension in certain muscles. Casual promotional item. Display stand contains 36 pieces. Dimensions: 47 x 3.5 cm.